A holiday in the Costa Del Sol is always reliable for sun, sea and sangria, but Torremolinos holidays also hit the mark for a good night out! Holidays to the Costa Del Sol are all about the sunshine, and in the popular resort of Torremolinos, you can soak it up all year-round! Torremolinos has been a favourite destination for holidaymakers in Spain for decades, so you can look forward to great attractions, a vibrant nightlife, and gorgeous beaches all within easy reach of your hotel. 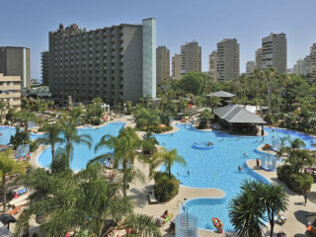 Popular with families as well as couples and groups of friends, Torremolinos holidays really do tick all the boxes. With 7km of coastline and four main beaches to choose from, you'll always find a spot to lay your towel in Torremolinos. You could take shade under a palm tree, visit the beach bars for a cooling drink or ice lolly, or even try your hand at parasailing, paddle boarding or kayaking at the larger beaches! Time to explore beyond the beach? The seafront promenade in Torremolinos is great for a stroll and stretches along to the nearby Benalmadena Marina - plus you'll discover many shops, bazaars, restaurants and cafes with a view along the way. Torremolinos is home to several beautiful and peaceful parks too, including Jardin Botanico Molino de Inca and Parque La Bateria (Battery Park), which offer a welcome retreat from the bustle of the streets. However, if you're hoping to let your hair down on holidays to Torremolinos, you certainly won't be disappointed! The Torremolinos nightlife is legendary, and the resort lives up to its reputation as the Costa Del Sol's 'party capital' with many bars and clubs staying open until sunrise and famous DJs often visiting to wow the crowds in the busier months. Culture seekers will also find lots to intrigue them on Torremolinos holidays too. Away from the main streets, you can discover well-preserved churches, grand casas, and even windmills that betray its fishing village heritage. Or if you'd like to venture even further, gorgeous Malaga is just a short trip away, so you can experience even more of what the 'Sunshine Coast' has to offer. Buzzing Torremolinos is a fabulous choice for a family holiday, couples getaway, or trip with your friends, and why not trust the UK’s Best High Street Travel Agent to get you there? We have over 35 years of experience in booking unforgettable holidays for all types of travellers, so speak to us today to begin planning your perfect trip. 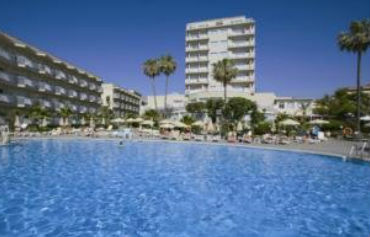 For a family holiday based around the beach and pool, the 4star Marconfort Beach Club Hotel is in the perfect spot. The golden sands of Playa del Lido are on the doorstep, with two more beaches close by. The pool area is the real scenestealer. The azure waters meander along the side of the hotel, encompassing bridges, palm trees and sun terraces enroute. Take a break from sunbathing and enjoy a cocktail and snack in the poolside bar. 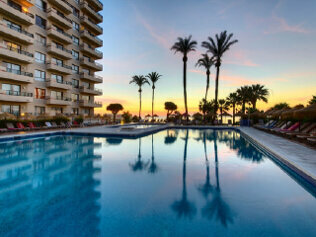 If you are looking to hit the pause button on your next holiday, the Med Playa Pez Espada in Torremolinos hits the spot. 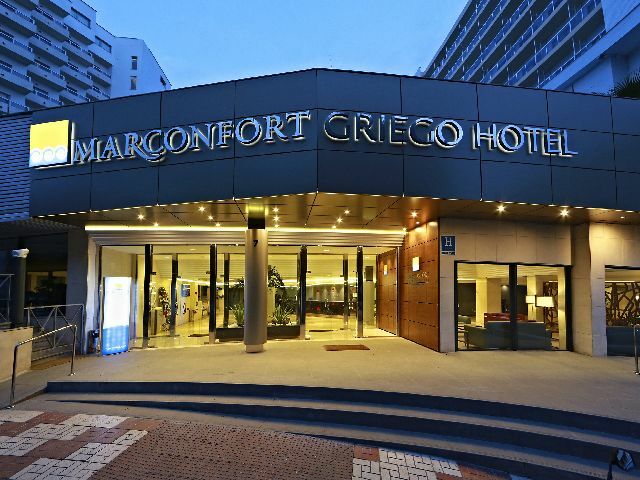 This 4 star hotel boasts a prime location on the seafront and a whole host of facilities for a relaxing holiday on the Costa del Sol. The facilities at the ultramodern 4 star Blue Sea Gran Cervantes Hotel in Torremolinos serve up something for all ages. The star attraction at this place is the pool scene. There is a large multi section pool outside, surrounded with sun terraces and lush gardens. No need to wander too far for refreshment, with a bar and occasional barbecues poolside too. Indoors, discover a rooftop pool with sweeping views out to sea. 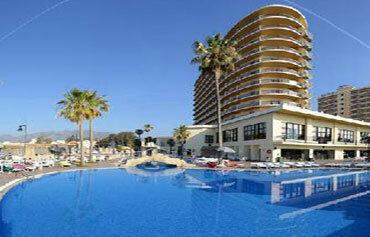 The Roc Flamingo Hotel in Torremolinos was built with relaxing holidays in mind. The pool area is the star attraction at this 3star hotel. Top up your tan on the sun terrace or chill out under the shade of a tree in the garden area. 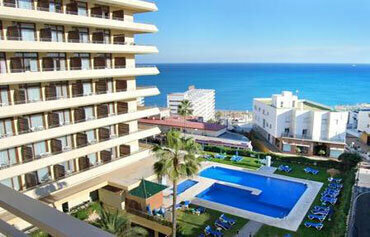 The La Barracuda Hotel has bagged itself a prime position in heart of Torremolinos. 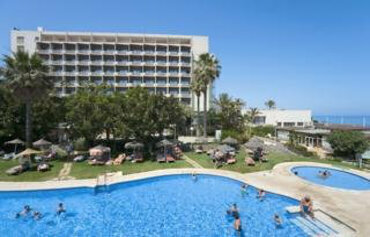 This 3 star hotel sits proudly alongside the beach and offers abundant facilities onsite for all the family. Situated on the outskirts of Torremolinos, this family friendly hotel resort blends a laidback vibe for adults with plenty to keep the children entertained. 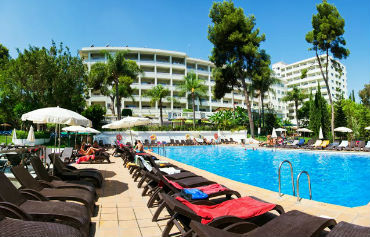 Set in picturesque palm tree filled gardens, the Hotel Puente Real in Torremolinos goes all out to impress its guests. 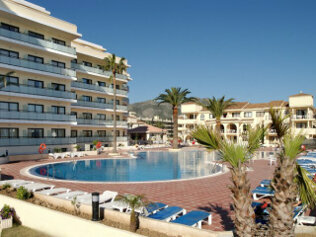 Firstly, there's its lovely position overlooking Los Alamos beach. Secondly, the list of onsite facilities offers something for all ages. Sitting proudly on the seafront promenade in Torremolinos is the Sol Aloha Puerto. This luxury hotel goes all out to impress its guests, from its impressive entrance hall with contemporary furniture and lighting, to its allsuite accommodation options. Uninterrupted sunbathing, child-free pools, onsite restaurants and lively local nightlife are just a few features of this stylish seafront hotel. If you're looking to get away from it all on your next holiday, why not take a look at Roc Costa Park? This family-friendly hotel combines a wealth of on-site facilities with a peaceful setting. The Costa del Sol isn't named after the sun for nothing: This part of Spain enjoys long, hot summers, with peak temperatures regularly hitting the thirties. Spring and autumn are great times to visit for slightly cooler temperatures. In winter, rain is common and temperatures peak in the late teens - mild compared to the chilly UK. Holidays in Torremolinos tend to revolve around the beaches, so it's no surprise that there's an impressive menu of watersports in the resort. Windsurf, paraglide, jet ski or hire a pedalo. Popular family days out include Aqualand water park and Crocodile Park. The pedestrianised Calle San Miguel in the centre of town is where to head for boutiques and shops. Visit the weekly Thursday market in El Calvario, the older part of town. Golfers are spoilt for choice, with the area boasting many courses. For a taste of real Spain, take a walk along the promenade to the old fishing village of La Carihuela or the district of El Banjondillo with its seafood restaurants and beach. Torremolinos really comes to life when the sun goes down, with an array of bars and clubs. Those who fancy a break from the hustle and bustle can head inland from the main street to the quiet area of El Calvario a perfect spot to sip a glass of sangria. As well as restaurants serving up Spanish favourites like paella, seafood and sangria, Torremolinos offers a huge choice of international restaurants and fast food joints. A big favourite with UK holidaymakers, Torremolinos has plenty of pubs that deliver British cuisine.